Most mines and quarry companies were not in line with the Final Mine Feasibility Study Report and Environment Management Plan, had poor drainage system within the sites and along the access road and no trained supervisors among others. The National Environment Commission (NEC) presented the findings to the mining and quarry companies in the capital, yesterday. The NEC in coordination with the Department of Geology and Mines under the economic affairs ministry conducted its annual compliance monitoring between November 2017 and March this year, and observed 14 non-compliances. Other findings include disturbance to water bodies due to spillage of overburden materials, poor dust suppression and solid waste management. “We want to give an opportunity to the miners to come into compliance, so that’s why we are thinking of drawing this compliance before we resort to imposing penalty and shutting down the mines and quarries,” said Tshering Dorji, Officiating Head of Environment Assessment and Compliance Division. To mitigate the issues of the findings, representatives from all mines and quarries will sign a compliance agreement by end of next month. As per the National Revenue Report 2016 to 2017, the royalty from mines and minerals is Nu 329m and is the second largest source of revenue after the tourism sector in the country. “Most people have the misconception that mines are harmful to the environment. This is not true. 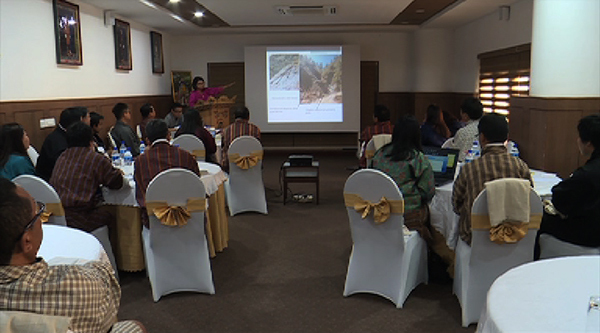 We don’t have other major sources of income in our economy so we have to judiciously use the resources we have in generating income; for instance, hydro power and likewise wood and non-wood products from our forests,” underlined the Agriculture Minister, Yeshey Dorji, who attended the presentation of the findings. Today there are 88 mines and quarry companies in the country of which 42 are operational. The rest are either non-operational, not yet commenced or under restoration process.